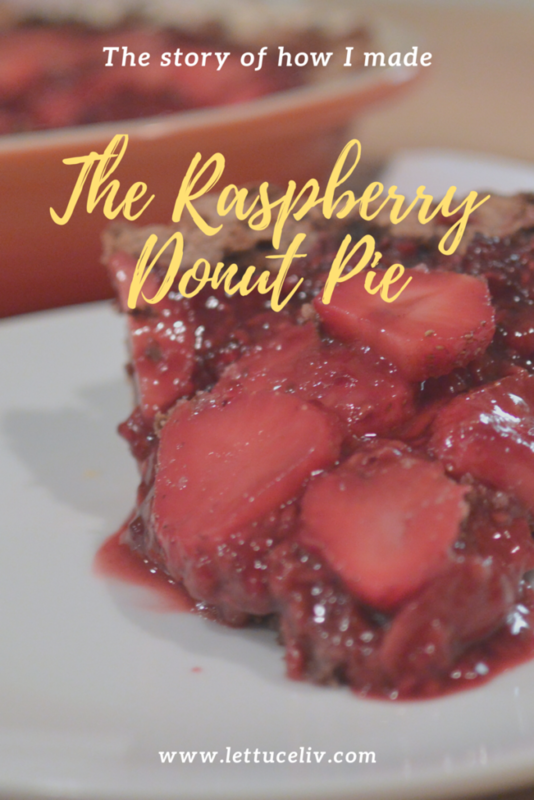 This is the story of how the Raspberry, Gluten free Vegan Donut Pie came into existences. 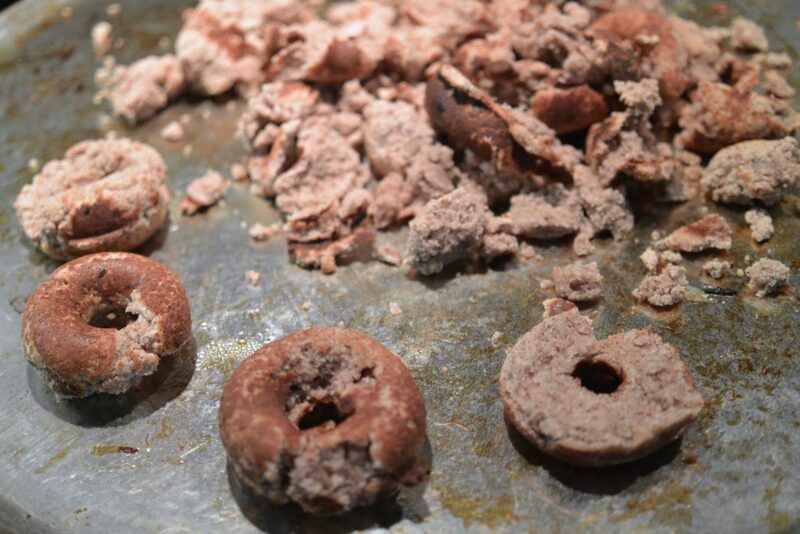 I was trying to make a vegan, paleo, oil free and gluten free donut last Sunday night…. when I came up with the thought in my head I felt like I was a genius! The ingredients seemed to just jump at me in my head! Oh, was I ever wrong, the recipe had seemed perfect. 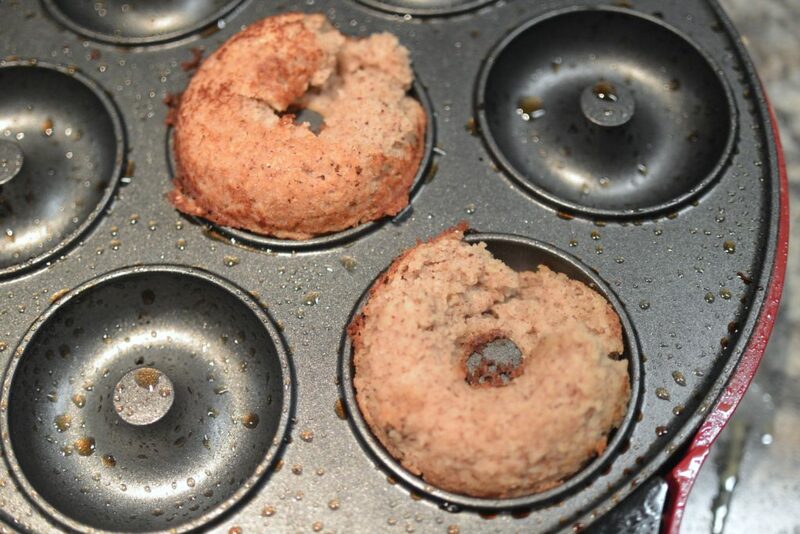 I began scooping the batter into my donut machine (one of those panini grill style donut machine). As I scooped in the batter I contemplated my post for the weekend I was thinking of how sure I was of myself-and making a cinnamon maple glaze to coat the donuts. Then the light flickered signalling they donuts were ‘ready’. I carefully opened the lid only to find half my donut stuck to the top of the grill and the other half glued to the bottom…and the exposed middle still raw…the death sentence to recipes. Being an optimist, I’m a glass is half full type of gal. I analysed the batter and decided I’ll just add oil this way nothing will stick. I added 3 tablespoons of oil to the batter and I lightly coated the donut grill (is that the term?). 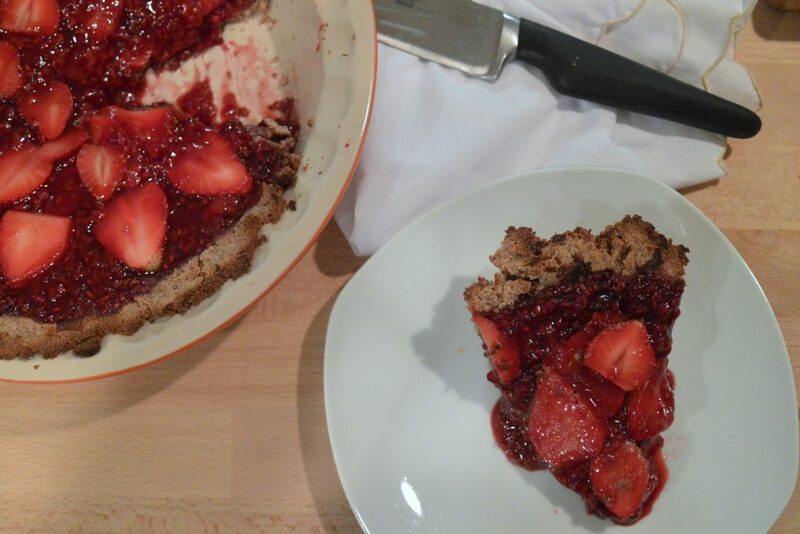 Now this being my second attempt I began to confidently scoop in spoons of batter into the molds. Not yet nervous I waited to see if this fixed the issue…Again I peered at the open donut maker only to see the same problem stuck to both ends and raw on the inside. Again, back to the batter. This time I thought “oh its too dense I’ll add about ¼ cup of water. That will do the trick!’’ only to end with the same results… this continued which each batch until I finished all the batter. Completely unsuccessful I stared at my mess of doughy crumbs and about 4 broken donuts. I thought to myself ‘is this it? Did I actually fail at this or am I missing something’ As I began to squish my hands through the crumbs I realized it was still malleable thought what a pity it was how I could have donuts from this batter because it was so tasty…but it would work as pie crust! 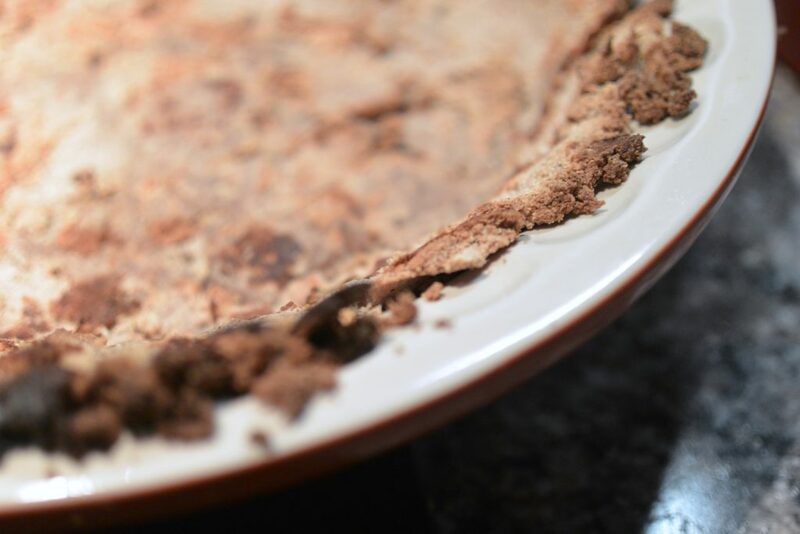 With that a light bulb flashed in my head and decided to press the dough into a pie plate and baked that for 15 minutes. Is this some kind of metaphor for life? When life gives you lemons you make pie? Or rather failure is only part of the process. I’ve been asking my followers on Instagram if I should have a YouTube channel and maybe this whole failure is some kind of message to me to try it and if it doesn’t work out there will be some kind silver lining. 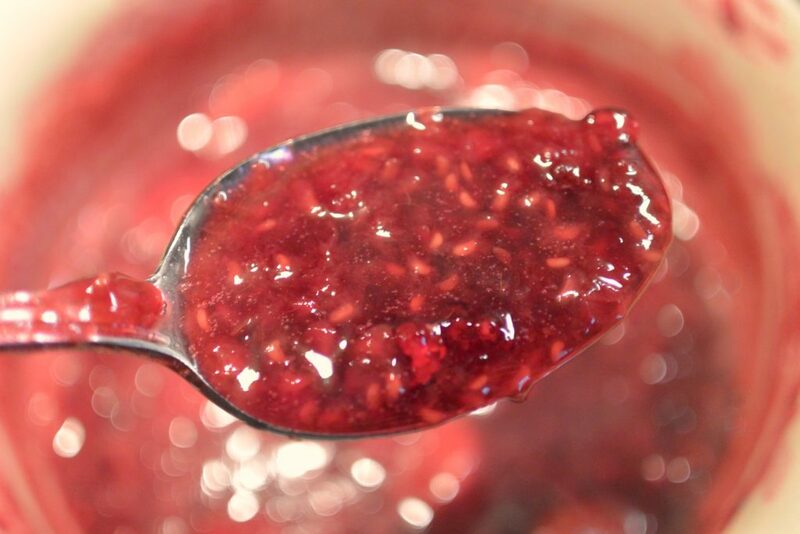 The filling is super easy to make and I suggest you use this as your go to filling for anything I want to make little pastries and I would love to use this as the filling! Simply 4 ingredients and that’s it! 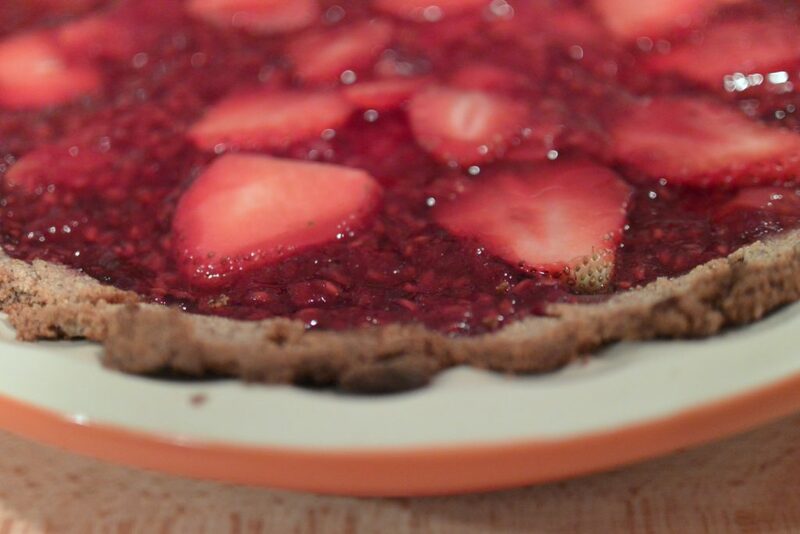 Frozen Raspberries, fresh strawberries maple syrup and you can use either AGAR or Arrowroot. 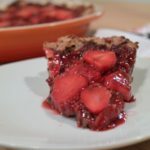 I was so excited by this, the raspberry gluten free vegan donut pie.. technically though its not really donuts because when you make this yourself you are not going to go through the trouble or attempting to make donuts, your just going to go straight to making the batter as a pie crust. I hope you enjoyed this ‘weeks post, if you haven’t seen my post from last week I made Chocolate Chip Marshmallow Coconut cookies I’d love to hear if you like them so go check it out! Also, please follow me on Instagram, Facebook, Twitter and Pinterest! If you don’t want to miss any news subscribe to my newsletter! 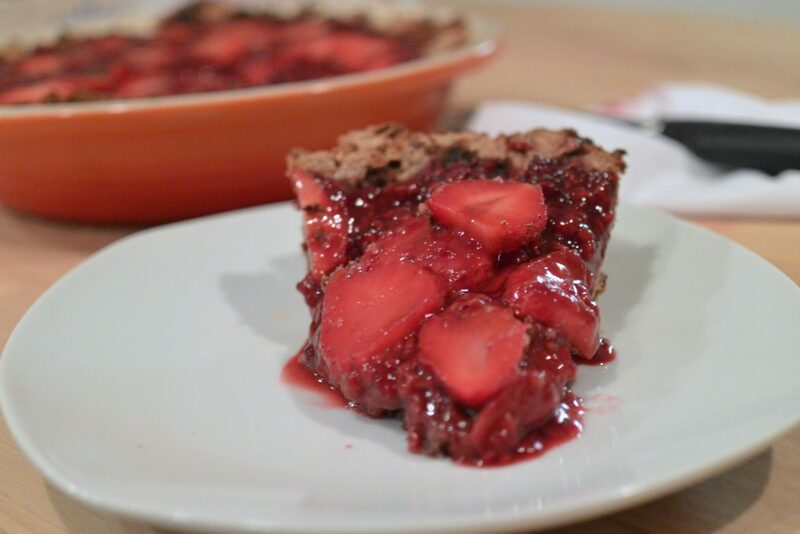 repeat until the filling is finished and you have one last layer of strawberries to put on the top. This looks amazing! I’ll be trying it this weekend.